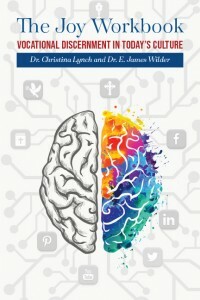 Dr. Gerry Doran, Ph.D. – Dr. Christina P. Lynch, Psy.D. Home »Dr. Gerry Doran, Ph.D.
Dr. Christina Lynch and Dr. Gerry Doran have been working in collaboration with the Archdiocese of Denver for the past 9 years. Their individual roles are complimentary to the process of human formation within the guidelines of the Program for Priestly Formation (PPF). Dr. Doran is an expert in assessing new candidates applying to seminary from several dioceses and religious communities, while Dr. Lynch works full time as the Director of Psychological Services at St. John Vianney Theological Seminary with the goal of strengthening seminarian’s human formation through growth counseling and teaching an integrated program on chaste celibacy. 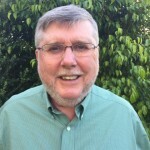 Dr. Gerry Doran is a clinical psychologist with many years experience working in a varied private practice treating individuals, couples and families. He is bi-lingual in Spanish and has a background in pastoral ministry with an M.A. in Pastoral Ministry from a Roman Catholic seminary. He has worked in various capacities as a lay pastoral minister within the Catholic Church, first with a lay missionary organization for eight years and then as a family life minister/youth minister in the Archdiocese of Denver, Colorado for seven years. For almost the past 20 years he has worked as a psychologist consultant for The Archdiocese of Denver and for several other dioceses and religious communities in the U.S. offering specialized psychological services for seminarians, deacons, priests and religious.